Ideal forguitars (acoustic, classical), also protectsviolins, cellos, clarinetsand other fine wood instruments. Large clay-filled plastic container helps prevent drying out and cracking of your guitar. 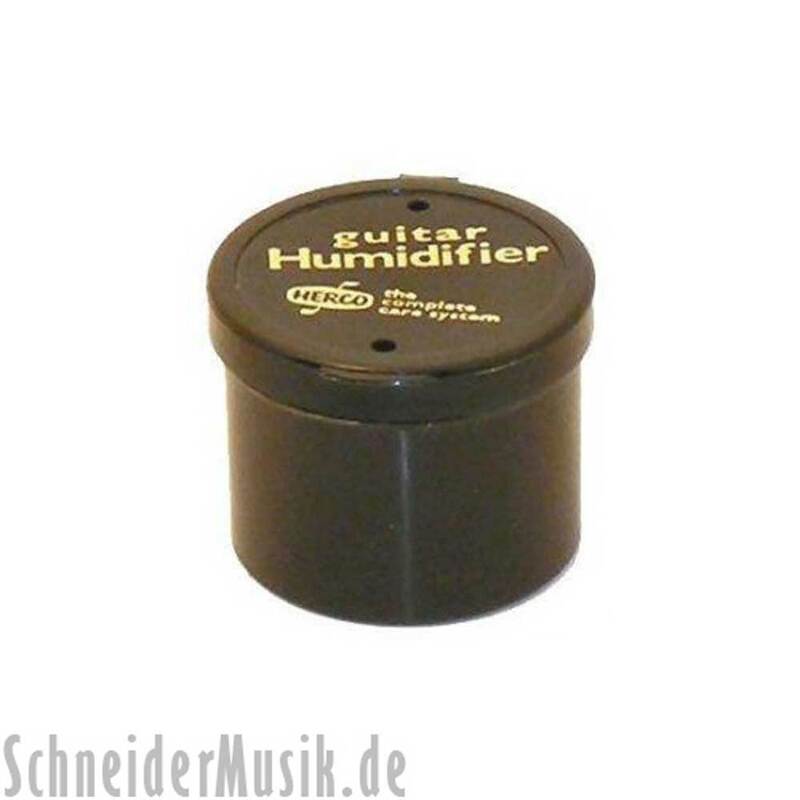 Stored in your guitar case, it holds moisture and releases it gradually into the instrument. Instruction: Open the container, immerse in water 5 minutes. Close, wipe off excess water. Ready. Repeat twice monthly.